With 16.7 million colours per light, clients have complete creative freedom. 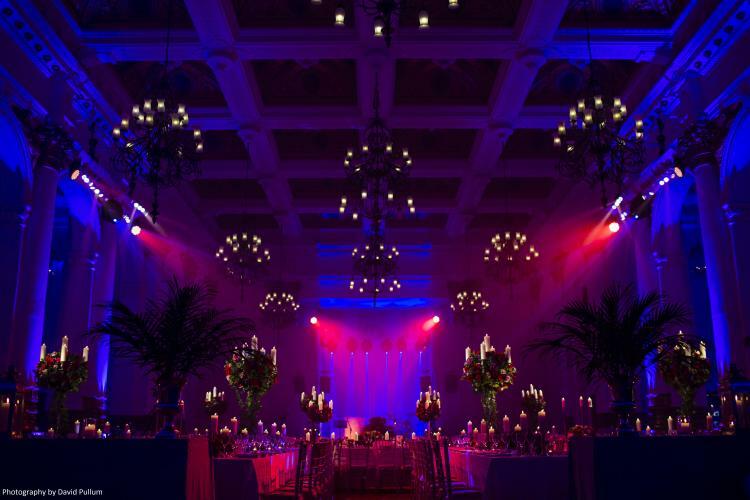 The brand new lighting technology is a revolutionary development in the events industry. You've heard of "surround sound"? This radical equipment can now be thought of as "surround light". 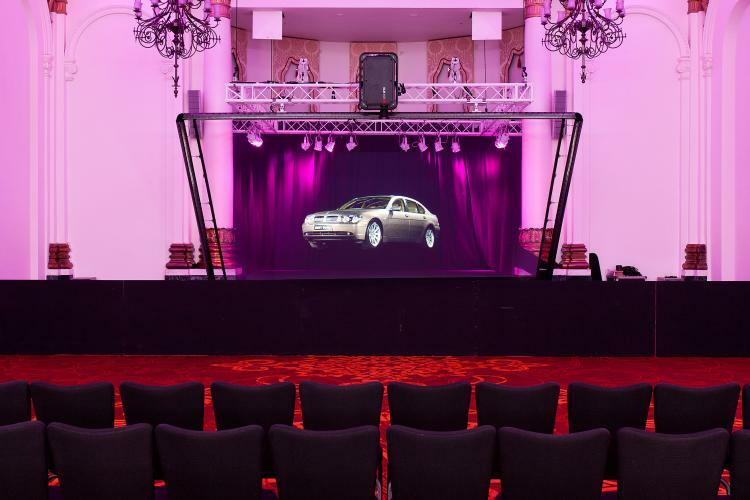 From a soothing atmospheric glow, to exciting light fireworks, amBX can be easily adapted to recreate dazzling visual effects that add immeasurable impact to a presentation, event, or wedding. 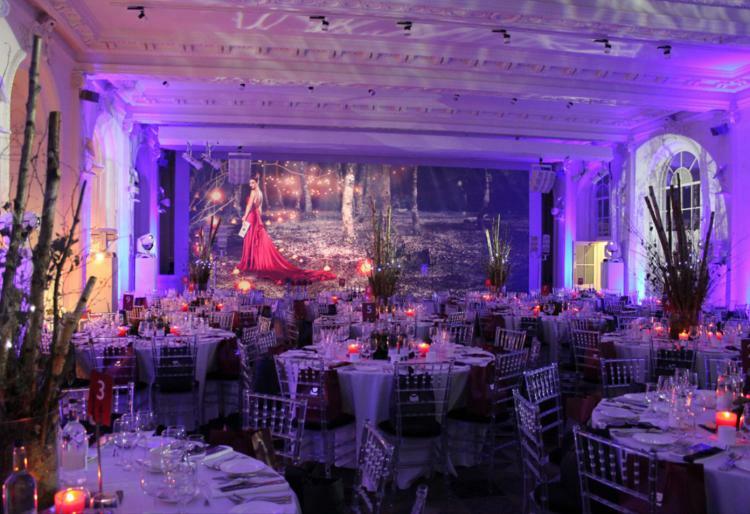 With 16.7 million colours per light, clients have complete creative freedom. The clever technology can be linked to music, PowerPoint presentations, TV commercials and films. In fact, the applications of amBX technology are only as limited as the level of imagination applied to it. amBX is not just visually striking, but has a powerful impact on emotional responses. Whether you wish to invoke a calming presence, rouse people's spirits, or help to focus guest's attention on specific points, amBX technology can help make this possible. How difficult is it to programme? Deceptively easy! Although the effects are sophisticated and technologically advanced, the user-friendly interface means even the biggest technophobe will feel comfortable. There is no complicated software, as amBX can be programmed via an iPad. How long does it take to set up? No time at all, it's already installed! 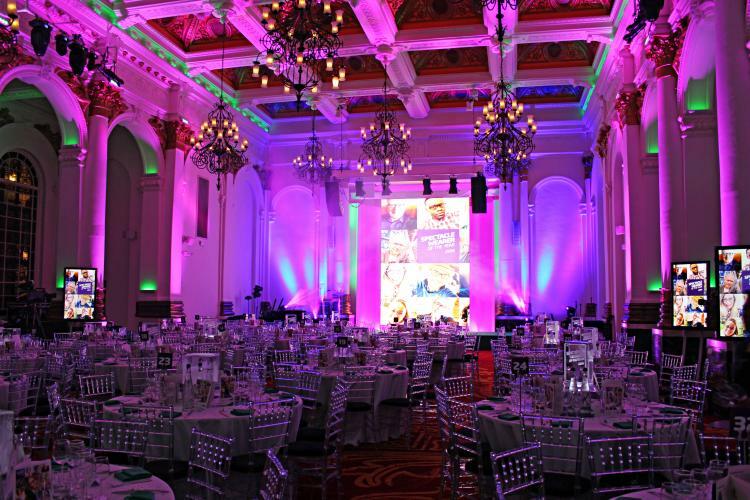 The system is permanently installed in 8 Northumberland Avenue meaning there are no extra costs required to set up the venue. It also means there is no bulky rigging taking up valuable events space.